So it’s not really hard to find a Cliffs of Moher tour whichever city you’re staying in Ireland. Standing 702ft above the ground at their highest point and 8km long, Cliffs of Moher boasts one of the most amazing views in Ireland. In a good day, you can see the Aran Islands in Galway Bay. It’s quite common to include a visit to the cliffs on a week-long Ireland trip. Most travelers begin in Dublin and work their way southwest toward the Shannon Region. This route typically includes stops in Kilkenny, Killarney, Dingle, Kenmare, Cork, and Kinsale. 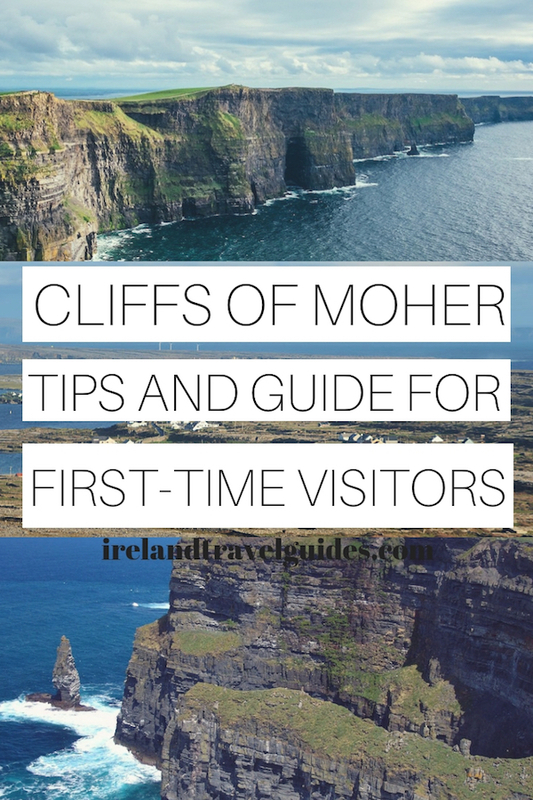 If you don’t know where to start with your Cliffs of Moher tour, this guide is for you. What city is closest to the Cliffs of Moher? When is the best time to visit Cliffs of Moher? How much does it cost to visit the Cliffs of Moher? What is there to do at the Cliffs of Moher? The Cliffs of Moher are located in County Clare, in the Burren region. The closest airport is Shannon International Airport which is almost an hour by car. Shannon Airport has direct connections to the USA and mainland Europe serving the West Coast of Ireland and the Wild Atlantic Way. Airlines serving Shannon Airport include Ryanair, Aer Lingus, Delta Airlines, United Airlines, US Airways, and Air Transat. It is also easily accessed by road from Galway (1.5 hours), Ennis (40 minutes), Limerick (1.5 hours) and from Dublin is approximately 4 hours via Limerick. Cliffs of Moher is a popular tourist attraction and summer months in Ireland is the busiest time to visit. The months of May, June, July, and August can become quite crowded during the peak times of the day which is from 11 am- 4 pm. So if you visit, within these months, avoid the peak hours to enjoy your visit. As for the best months to avoid the crowd, September and October are a quieter season to visit. The admission prices include the visitor center and to walk along the pathways and platforms, vehicle parking, leaflets, and maps. 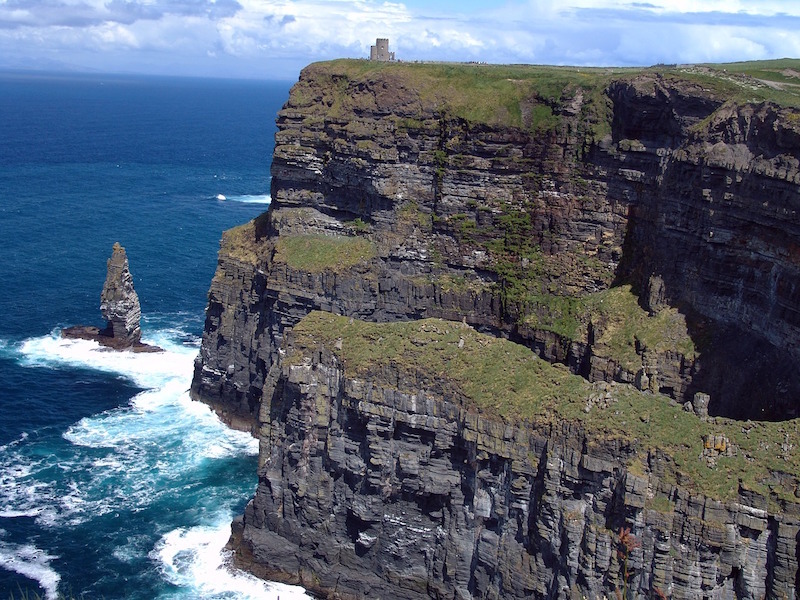 Atlantic Edge Experience is the virtual tour of the Cliffs of Moher. The exhibition can be found inside the visitor center. It features amazing aerial footages, landscapes images, caving, and deep sea diving and animals footages. This will give you an overview of what to expect in the Cliffs of Moher and the surrounding areas. There are several Cliffs of Moher cruises that start and end at Doolin pier. If you want a different way to see the cliffs, then a cruise is a must. The boat cruises below the spectacular cliffs which tower over 700ft above the ocean. To book your cruise tour for €15 per person, click here. The Doolin Cliff Walk starts at Doolin and ends at the visitor center. This walk offers a spectacular sight of the cliffs along the Atlantic. The trail is about 8 km and approximately takes about 3 hours. From the visitor center, you can just take the public transport to go back to Doolin. O’Brien’s Tower is the highest vantage point on the cliffs. The O’Brien’s Tower is a round stone tower located between Doolin and Liscannor. It was built by Sir Cornellius O’Brien as an observation tower for the hundreds of tourists that frequented the cliffs in 1835. 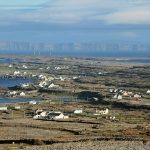 From atop the watchtower, visitors can see the Aran Islands and Galway Bay, the Maum Turk Mountains and the Twelve Bens to the north in Connemara, and Loop Head to the south. The tower has a separate fee from the Cliffs of Moher visitor centre. Guests can enjoy classic Irish fare which includes wild Atlantic prawn salads with stout bread and Burren-smoked salmon. All of these, while enjoying the views of the cliffs and Liscannor Bay from your table. Hag’s Head is the most southerly point of Cliffs of Moher. The edge of the cliffs forms an unusual rock formation that resembles a woman’s head looking out to the sea. According to legend, an old hag, Mal of Malbay, fell in love with the Irish mythology hero, Cu Chulainn. She chased the Cu Chulainn one day but lost her footing while crossing the sea stacks and fell off the cliff. The Burren National Park is the smallest among the national parks in Ireland. Established in 1991, it only covers an area of 5.8 square miles in County Clare. The name Burren came from the word “Boireann” which means “great rock”. It is because the entire park is dominated by a glaciated karst landscape. Despite the soil being covered by rocks, the park has diverse and rich floras. During summer, these floras bloom in a way that will leave the visitors in awe because of the park’s natural beauty. April to September only. Daily between 9:30 am to 5 pm. To verify the schedule, click here. Doolin Cave or Pol an Ionain is a limestone cave in Doolin located at the western edge of Burren National Park. It is known for its Great Stalactite which is one of the longest free hanging stalactites in the world and the longest known free-hanging stalactites in Europe. St. Brigid’s well is one of the oldest healing well in Ireland. St. Brigid is one of the Patron Saints of Ireland. It is said that in 500 A.D., St. Brigid, a young girl then, renounced her beauty and prayed to become ugly. So that she wouldn’t attract suitors and be forced into marriage. It is also said that she gave away her possessions to the poor and became a nun. The well of St. Brigid is now a popular well that said to have healing factors. Aside from the well, you will find a grotto with mementos from people who visited the well. From Galway to Cliffs of Moher is only over 75 km. Take a bus from Galway Bus Station on Eyre Square to Cliffs of Moher. Take the Bus Eireann #350 and it will take you directly to the gate of the visitor center. It takes 2 hours and 15 minutes for €16-19 one-way trip. Bus leaves every hour. Cliffs of Moher are over 266 kilometers from Dublin. If you don’t have a car, you can take 2 connecting buses that go directly to the visitor center. From Burgh Quay, Dublin City South, you can take a Bus Dublin Coach to Dunnes, Friars Walk. This takes about 3.5 hours for €20-25 one way. And then from Friars Walk, walk to Ennis Bus Station to take a bus that goes to the visitor center. This takes about an hour for €9-11 a trip. Then from the bus stop, just walk about 5 minutes to get to the entrance of the visitor center. There’s also a Citylink bus from Temple Bar, Crampton Quay that goes to the visitor center via Gmit. Travel time and bus fare are almost the same. Take a bus (#302, #343) from Limerick Arthur’s Quay station to Friars Walk, Dunnes. This takes about 45 minutes for €3-11 per trip. Then from Friars Walk, walk towards Ennis Bus Station and take the bus that goes directly to Moher visitor center. This takes another 50 minutes for €9-11 one way trip. Take a bus from Cork Bus Station, Cork Parnell to Ennis Bus station. This takes about 3 hours for €23-28 per trip and then take a bus from Ennis Bus Station that goes directly to Cliffs of Moher. This takes another 50 minutes for €9-11 one way trip. Take a bus (#343) from Shannon station to Friars Walk, Dunnes. This takes about 30 minutes for €6-8 per trip. Then from Friars Walk, walk towards Ennis Bus Station and take the bus that goes directly to Cliffs of Moher. This takes another 50 minutes for €9-11 one way trip. Or you can also join tours from the following cities. Galway City is only 1.5 hours from Cliffs of Moher so a lot of people use Galway as a base. If you want to take a day trip from Galway to Cliffs of Moher, there are several tours you can choose. Just click on the respective tours to book. This tour to the Cliffs of Moher and the Burren region is a leisurely guided day tour that includes a 2hr stops at the Cliffs of Moher and visits to Kilfenora and the Poulnabrone Dolmen. It’s € 30 per person. To book, click here. Experience the Cliffs of Moher independently with a round-trip express coach service from Galway. Get access to the visitors center on arrival, and enjoy a full 2 hours to explore at your own pace. It’s € 14 per person. To book, click here. 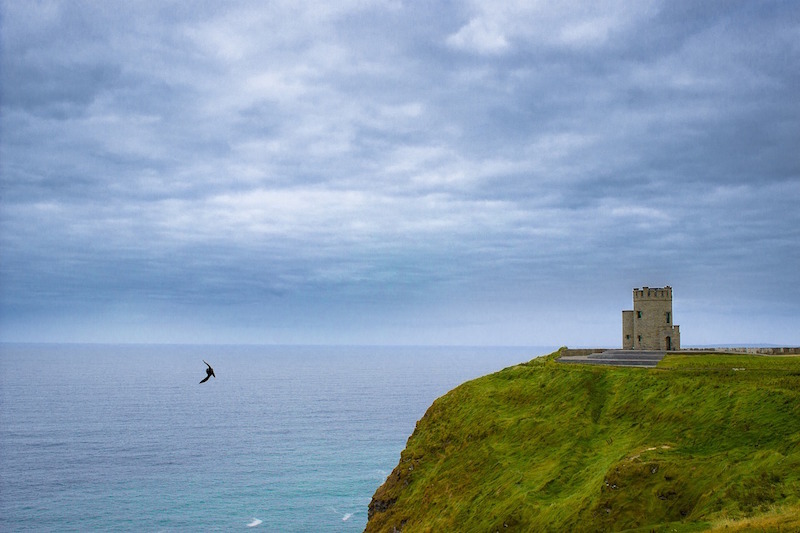 On this 7-hour trip from Galway, discover the Cliffs of Moher and Doolin village. Enjoy the comfort of a luxury coach and expert guides. It’s € 25 per person. To book, click here. Dublin is approximately 4 hours away from County Clare. If you want to take a day trip from Dublin to Cliffs of Moher, there are several tours you can choose. Just click on the respective tours to book. 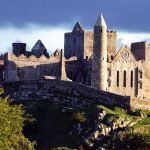 This tour includes a visit to the city of Galway, the Burren, marvel at the ruins of historic Kilmacduagh Monastery and Cliffs of Moher. It’s € 45 per person. To book, click here. Explore the cliffs on a 12-hour tour from Dublin, and travel back through Ireland’s rich heritage on a scenic drive to the Galway coast. Stop en route for spectacular photo opportunities in Kinvara fishing village, Bunratty Castle and more. It’s € 40 per person. To book, click here. Travel in comfort and style from Dublin city on a luxury coach, sit back in your reclining leather seat with a complimentary tea or coffee and access free Wi-Fi as you head west through the Burren, Doolin, and Cliffs of Moher. It’s €50 per person. To book, click here. Limerick is approximately 1.5 hours away from County Clare. If you want to take a day trip from Limerick to Cliffs of Moher, there are several tours you can choose. Just click on the respective tours to book. 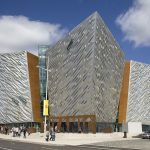 Experience the wild coast of the Atlantic Ocean on an 8-hour tour to the Cliffs from Limerick, and see the highest cliffs in Europe, Lemenagh Castle, and with a free ticket to the Atlantic Edge. It’s €25 per person. To book, click here. Cork is approximately 3 hours away from County Clare. If you want to take a day trip from Cork to the cliffs, there are several tours you can choose. Just click on the respective tours to book. 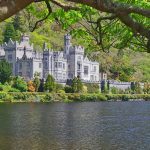 Other sites you’ll see on this tour of Ireland’s scenic west coast include the city of Limerick, the Burren, and Bunratty Castle. It’s €35 per person. To book, click here. As mentioned, the busiest hours are between 11 am to 4 pm, especially during the summer. So to avoid the crowd, make sure to come earlier. There are times that they need to close the area because it gets too full. Visitors falling off the cliffs are not news, unfortunately. The edge of the cliffs don’t have barriers and taking selfies on the edge of the cliffs is not worth your life. Take caution especially if it’s windy. Even if it’s summer, it can get pretty windy and cold along the cliffs so make sure to bring a jacket or sweater with you. Rain is also unpredictable so bring a raincoat if you can. And wear good walking shoes to prevent yourself from tripping due to wet and uneven ground. The full trail of Cliffs of Moher from Doolin to Liscannor is 18 km long. But the section from the visitor center to Doolin is only 8km. Most people only stay near the visitor center and this is where it gets crowded. To avoid the crowd, walk further north to enjoy a crowd-free section of the cliffs. Allow at least 2 hours for exploring the area. 8 am to 7 pm although, during winter, the cliffs are already closed by 5 pm. There are several B&Bs and hotels near Cliffs of Moher. Most of these accommodations can be found in Doolin or Liscannor which are both within 8km from Cliffs of Moher. Also, most of the activities are located in Doolin, so it might be a better option for you as well. This bed and breakfast offers beautifully decorated rooms, excellent breakfast with lots of options and located near the sea which gives the guest a nice view from the rooms. The place is also pet-friendly and there are tons of things to do within the area. And for the price of €70-€90 a night, it’s a steal. To check the reviews, click here. Glasha Meadows is a family-run bed and breakfast in Doolin with spacious room, awesome breakfast, and wifi. It’s also a 10-minute drive from Cliffs of Moher. Room rates range from €75-€155. To check the reviews, click here. Island View Lodge offers private apartments with a small kitchen and dining area. It’s also only 20-minute walk to Cliffs of Moher and guests can enjoy the sea view nearby. Room rates range from €85-€145. To check the reviews, click here. I visited the Cliffs of Moher a few years ago. They’re absolutely incredible. It was extremely windy on the day I was there, so the photos weren’t great, but the real view was fantastic. Stunning view of the cliff! I should probably made a trip there when I am in Ireland! Not sure when, but the photo itself got me attracted. Very interesting as I am planning to visit it there soon. Do you recommend a particular period of the year when to go or to avoid as too crowded? I’ve been to the Shannon area once – I flew there several years ago for a long weekend. But I didn’t make it to see the Cliffs of Moher, and now I regret it! It looks beautiful in your pictures. I will have to plan another trip. It’s so cheap and easy to fly to Shannon from London, so no excuses haha. Most of my husband’s family lives in Ireland yet we have visited so little there! The cliffs of Moher look so stunning I really need to go explore this part of the Emerald Island! Wow! The cliffs look pretty impressive and the entrance prices are not so steep. I hope when I will be in Ireland again I will visit them. I have only been to Dublin and Bray where I had a short nice hike. But this looks like a whole another level! Especially Doolin Cliff Walk looks very nice 🙂 Thanks for great article!